Kingdom Hearts Wallpaper: You're All I Need. 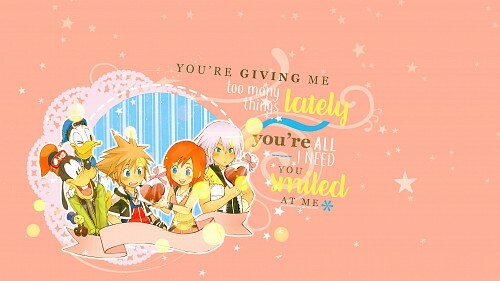 Minitokyo »	Kingdom Hearts Wallpapers » Kingdom Hearts Wallpaper: You're All I Need. Credits: http://Hakaru.minitokyo.net/, http://obsidiandawn.com/, http://kabocha.deviantart.com/, http://harperfinch.deviantart.com/, http://magnifiquen.deviantart.com/, http://aaronieroarruruerie.tumblr.com/, and http://www.dafont.com/.